US manufacturer GE is to provide 43 wind turbines to Turkish developer Fina Enerji for four new projects in western Turkey. The projects add up to 97MW of capacity. 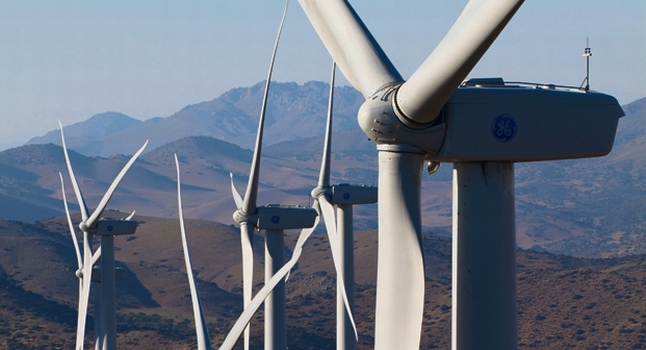 GE will supply 1.6-100 and 2.75-100 to the wind farms – Kizilcaterzi, Karadere, Sadilli and Salman. No timelines were given for deliveries or completion of the projects. The Turkish government plans to increase the country’s wind base to 20GW by 2023 from a current capacity of about 1.8GW. GE says Turkey is one of the most favourable locations in its region for wind power, with a potential total capacity of 48GW. “Using such machines with advanced technology will not only improve capacity factors and capital productivities, but also help to decrease our nation’s dependency on foreign sources of energy,” says Sancar Saracoglu, executive committee member of Fina Enerji.